Check out the tutorial and photos below! And here's a screencap of Jessica I took from the video. Super cute, right? This is my completed makeup look! 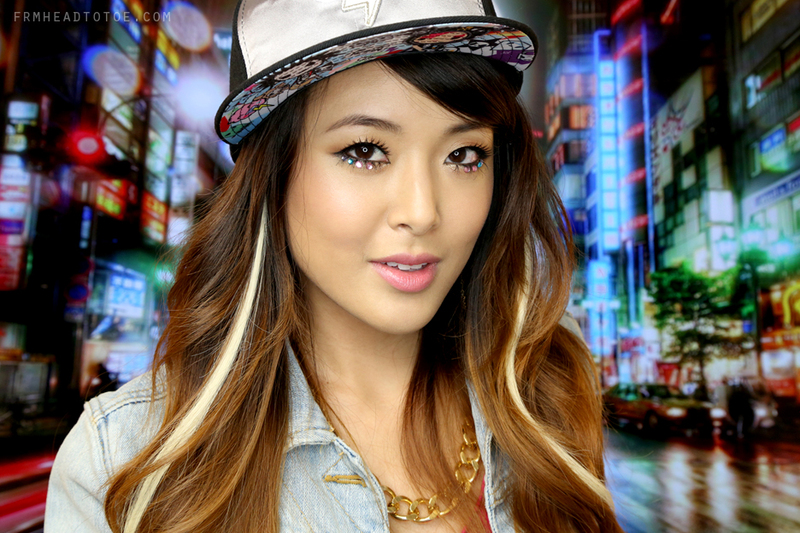 I clipped in some blonde hair extensions and threw on my Tokidoki hat to go with the urban-chic vibe. For the eyes I used a golden shadow and contoured with a matte tan to make the gold pop. Below the eyes I used individual false lashes with a gradation of colorful rhinestones to mimic the sparkling effect of Jessica's makeup. I hope you enjoyed the tutorial! If you want to keep in touch for future Kpop looks, don't forget to follow on Bloglovin' or you can find me rather frequently updating my Instagram and Twitter. Let me know in the comments what future tutorials, reviews, or basics you'd like to see! awesome tutorial as always. i've been following your blog since 2008 and you haven't changed at all, still so nice and sweet. keep it up! really great tutorial, thank you! :) you look amazing! awww Jessica!! You look so amazing ^^ thanks for the tutorial! This is such a great look! :D I wanna try! Love love love your makeup here! But I have two quick questions! I noticed that you had a crease without eyelid tape or glue in the video, what did you doooo? Haha. I didn't do anything to cause it, it just happened naturally probably due to my irregular sleep schedule. Lately my right eye has had a consistent small crease so my eyes have been uneven for a while! It's quite annoying, haha. Great tutorial as always Jen! Right after the music video was released I knew you'd eventually do their makeup ahaha. Keep up the great work! Hey Jen. How would you remove the rhinestones? Would normal makeup wipes do the trick? I don't use liquid makeup removers. hey jen! 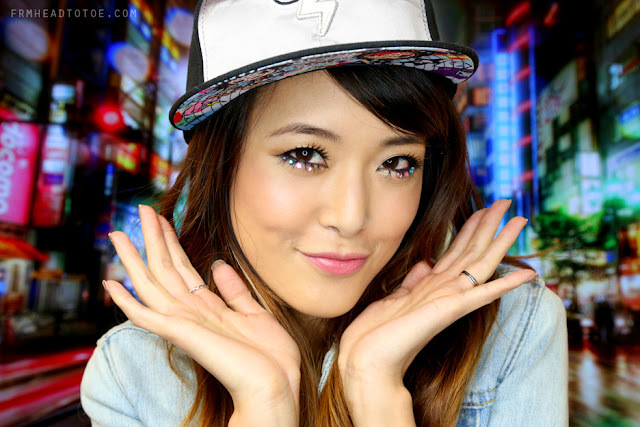 i always love your kpop related tutorials :) really hope you'd do more of them soon. am pretty curious how to achieve the straight brows look. noticed that a lot of idols and in kdramas, the ladies don't really have arched brows. did they tweeze their brows that way or was it filled in to look straight? Hi Jen, I wanted to ask you. I have a round face shape. is there any advice you can give how should I put on makeup, especially on the use of blush on my cheeks so my face look thin? By the way, since I wear the hijab, can you provide input so that when wearing hijab, my makeup still be seen, especially in the cheeks. You look exactly like Jessica. I love watching your YouTube videos! The way you describe products and styles is so articulate! I'm new to blogging, and I draw a lot of inspiration from your videos and blogs--you're like a mentor, so thank you for that! Come check out my blog, Lucia Blogs, and tell me what you think. It would be so great if you did. Thanks!! Your Kpop tutorials are so much fun to watch. I really like your tokidoki hat! In fact I like everything you're wearing, haha. So great YouTube! I really like it and introduce the video via my facebook fanpage! Or maybe HyunA's makeup in Ice Cream around 3:28ish?? you are amazing! I always watch your videos and do my makeup (or attempt to do it) like your tutorials and they have been quite useful in my progession with makeup.. Awesome tutorial! Do you ever use eyelid glue instead of the tape? Just curious. Your hat is sooo cute, where did you get it? omg you're amazing as always!! Where did you get your hat ? 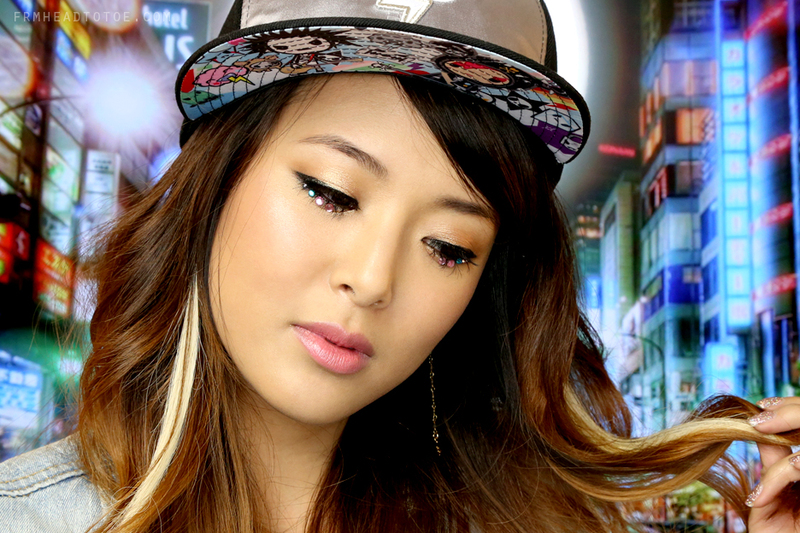 Can you do a tutorial on Hyori's 'Bad Girl' video, with the dark lip?! The new music video "My Oh My" is out. ( http://youtu.be/RQy54gw-pls ). The girls' makeup is so cool. Is that kinda "no-makeup makeup"? Hey Jen, can you please do a makeup tutorial on this? I am so eager to learn that from you!